Affiliate Marketing has become a multi-billion dollar industry with the appearance of digital advertising networks, blogs, social networks, and recognition by major brands. New technologies, tracking capabilities and the growth of data push forward communication between advertisers and affiliates. But there is still a lack of highlighting the professionals in Affiliate Marketing who are building the industry, or changing it right now. And in many cases, it’s women who are working behind Affiliate Networks, Programs and Communities that bring affiliates together. 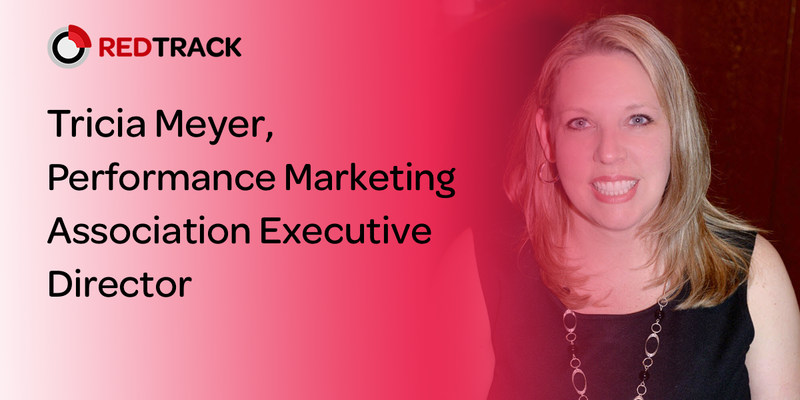 Tricia is the Executive Director of the Performance Marketing Association. 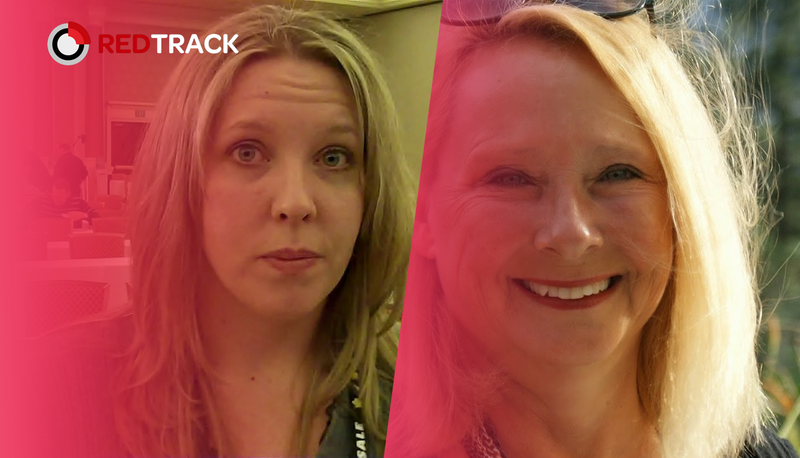 She also runs different blogs for years and monetize them through affiliate marketing, and owns a cashback website. How did you start working in Affiliate Marketing? While I was an attorney working for LexisNexis in their online content division (2004), I started a website to create my own “content” as a new mom. I used it as an outlet to talk to other moms but started noticing that other similar sites were linking to big brands like Target. I found a program that allowed me to trace links and that led me to an affiliate network (Be Free). From there I started reading message boards about affiliate marketing and figuring out how to incorporate it into my content. I started my loyalty site about a year later as a way to share my affiliate revenue with my friends and readers. Can you tell us about the most important episodes of your career? Attending Affiliate Summit for the first time opened my eyes to all of the possibilities in the industry. Not only did I learn a lot about how affiliate marketing worked, but I met people who were willing to share their expertise and help me become successful. Subsequent conferences helped me find new business partners, consulting opportunities, and even new niches. One of the most important moments in my career came the day I quit my full-time job and decided to sink or swim in affiliate marketing. Which verticals and areas of Affiliate Marketing do you work with? As the owner of a cashback website, I work in almost every vertical. It gives me a nice bird’s eye view of what is converting in the industry, which merchants are good to work with, and how to make the most of all of the different networks. 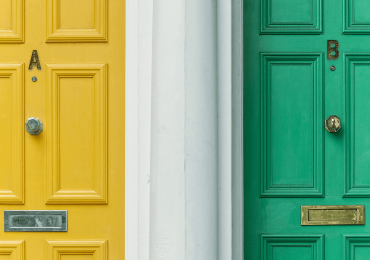 It’s old school, but I firmly believe that having a mailing list helps insulate you from changing algorithms across both social media and organic search. Those are great traffic sources when they work, but having a list or a loyal member base can help you sustain your business when those traffic sources dry up. After all the experience, what can you say about Affiliate Marketing? This industry is constantly changing and you have to continue to evolve if you want to stay in it. Traffic sources change. Merchants close down. Networks get bought out. Competition increases as more people learn about the industry. You don’t necessarily have to change what you do, but you may have to change the way that you do it. Tell us the story of your highest CTR. Know your audience. I have made the most money when I have come across an offer that I know is perfect for my audience. For example, I have a lot of Disney fans across both my loyalty site and my blog. When a CPA network ran an offer for a free Disney bumper sticker, I jumped on it as fast as I could type. I ran it across my blog, my newsletter, and my social media. 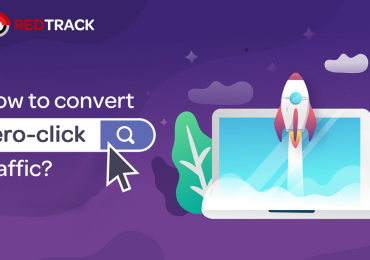 Not only did everyone click, but my conversion rates were through the roof. Can you share about failures that you had in Affiliate Marketing? Just one? I could probably write a book! The thing about most of my biggest failures in Affiliate Marketing is that in retrospect, I learned something from them so the further out I get from them, the less I feel like a failure. I think where I have failed most was being too trusting of potential partner relationships and not getting money up front. I was so eager to help them that I jumped right in with advice and even exposure on my site. But when they didn’t get the result they were hoping for, I was left with nothing but a “lesson learned”–which doesn’t pay the bills! What tools should an Affiliate Marketer use? I use Pretty Links on every one of my sites to help manage affiliate links. You should also use some kind of tools for automating your newsletter (both helping drive signups as well as the actual mailings). It’s easy to think those things happen organically without the tools, but to scale you really need them. An image editor is also important both for editing blog images and social media images. I also use 2 different social media schedulers. Look for your own personal pain points to determine what you aren’t good at and therefore need help technically. What do you need to be good at Affiliate Marketing? To be good at Affiliate Marketing you need to be flexible. You need to be able to change with technology and the industry. You need to be willing to try new things even when the old things are still working. If you weren’t an Affiliate Marketer, who would you rather be? If I were not an affiliate marketer, I would go back to being an attorney because sometimes I really miss it, and my kids are old enough that I don’t need to be at home. Luckily there are enough affiliate marketing legal topics that some days I get to be both! Rosalind Gardner has worked in Affiliate Marketing for more than 20 years, focusing on blogs, B2C products, services and dating vertical. 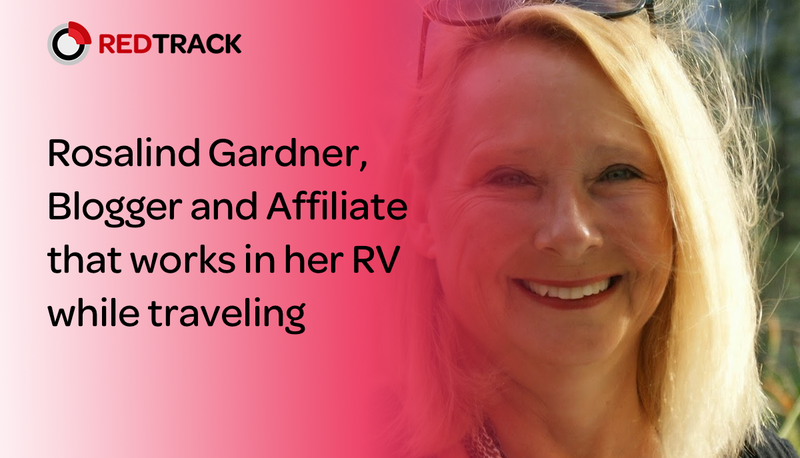 Rosalind works from her home in summer and her RV in winter, earning a full-time income through affiliate marketing as a blogger. She wrote a book called «The Super Affiliate Handbook: How I Made $436,797 in One Year Selling Other People’s Stuff Online». In 1996 I built a 3-page seed exchange website from which I traded flower seeds with gardeners from around the world. Experience with that site made me realize the web’s potential as a marketplace – so I started looking for online business opportunities at that point. In late 1997, I discovered affiliate marketing and started a site to review online dating services – a topic about which, at the time, I was relatively knowledgeable, having had a number of unsavory experiences with chat room lurkers. When online dating sites started offering webmasters the opportunity to promote their services, I felt a strong desire to share my experience with others in order to keep them safe in their search for love online. To share what I’d learned about affiliate marketing, in 2003 I self-published “The Super Affiliate Handbook: How I Made $436,797 in One Year Selling Other People’s Stuff Online”. My book turned out to be the first comprehensive guide to affiliate marketing and the response was overwhelming in terms of the numbers of people who learned how they too could earn money online as affiliate marketers. As a result of the book, I ended up taking my message about affiliate marketing by speaking at conferences all over the world. My very first site (101Date.com) was about online dating, with dating site reviews. After publishing my book, I started writing regularly about affiliate marketing and doing business online at what is now RosalindGardner.com. I also maintain two other websites, one a personal blog (RosalindGardner.me) on which I write about travel, food and RVing; while the other site (WindingWay.com) sells watches through a drop-shipping arrangement with Eduardo Milieris of Watchcraft in New York City. Of all the different ways to make money online, I’d suggest that affiliate marketing has the lowest barriers to entry – for bloggers who are truly passionate about their subject. The cost to set up a blog is negligible when compared with those involved in setting up a brick and mortar business. Moreover, there are no production costs, having to carry inventory, order-processing, shipping or handling of products. Affiliate marketers don’t need to provide customer service for the products that they promote. Best of all, is that as an affiliate marketer, you can work from anywhere you have an Internet connection and your business runs 24/7 – literally meaning that you can be making money while you sleep. Waking up to discover that you’ve earned commissions overnight is a truly wonderful feeling! In addition to creating a wonderful lifestyle for myself that I would never have dreamed possible, I feel that my greatest success has been in helping others do the same. My biggest Affiliate Marketing mistake was due to laziness on my part. I started a newsletter called the “Singles eScene” for my dating service review site which, at the time of my serious email marketing mistake, had 103,000 subscribers. One day, I sent that newsletter out to extend an offer to attend a free John Gray teleseminar. Within a few days of receiving that message, more than 14,000 people unsubscribed from my newsletter. It was a costly mistake as I know that on average, two of every 100 [SeS] subscribers bought an annual dating service membership for $70.00, and four more would purchase recurring monthly $24.95 memberships that they keep for an average of 6 months. With a 50% commission rate… I had tossed $4440 down the drain over the next twelve months. My blogs are all built on the WordPress platform, with StudioPress Genesis themes. I use a variety of WordPress plugins to enhance the functionality of my blogs and to optimize them for the search engines. Of all the tools I use in my affiliate marketing business, I consider my autoresponder service, Aweber, to be the most important, for as long as you have a list of subscribers, it doesn’t matter if your site goes down (as mine did), you can still contact them with an offer that will earn you a commission. To be successful as an affiliate marketer, I believe you need to be absolutely passionate about your topic (niche) and have a strong desire to share your knowledge honestly with those who read your blog. Moreover, affiliate marketers should choose products to promote that they actually like and use, rather than trying to sell items simply for the sake of earning a big commission. When you treat your readers with the same respect with which you want to be treated, you build trusting, enduring and fruitful relationships. A full-time retiree and traveler.